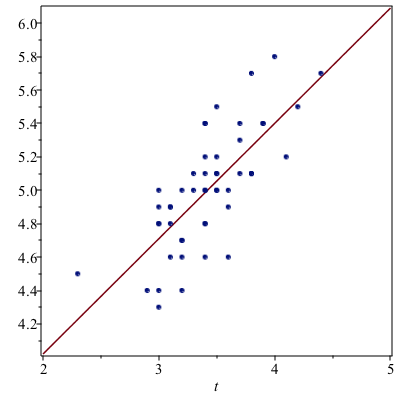 Although there is much better software to use for Data Analysis than Maple, here are some things to know. In many cases, dealing with data mean dealing with variables of different types. Because of this, matrices or arrays are not the best storage types. A DataFrame is a common type of data structure across many languages which are designed for use with data. A data frame is a rectangular data structure in which each column has a different type. The age variable should be a number (or perhaps an integer) and the others should be strings. We can create a DataFrame in the following manner. where the numbers on the top and left sides are the column and row numbers respectively. This is nice, however, since the columns represent variables, it would be nice to have that included in the dataframe. In addition, the datatypes can be specified. If you want to specify the rows as well (instead of by a number, that can be done with the rows option to the DataFrame). and each of these return a DataSeries type. Typically data comes from other files or databases. Here we will import data from a CSV file. If you have data in an excel file, typically export it from excel to CSV. You will see a directory chooser pop up. Select the directory that contains the file that you downloaded above. if you don’t have a dataframe. will return a DataSeries with just the SepalWidth variable. 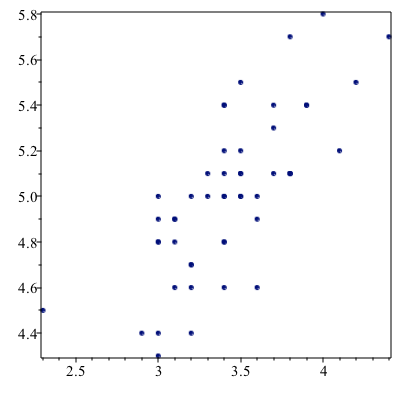 Load the Statistics package using with(Statistics): to give easier access to many standard statistics features. 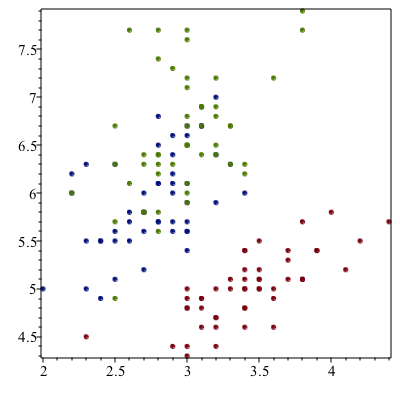 If we look at the scatter plot about, there is the red points in the lower part of the plot. This is the setosa species and perhaps we are interested in studying that. This matches only the rows of the data where the Species is setosa. where the standard operations needs to be followed by a tilde ~ for these operators. To make the following a bit easier, let’s swap the main data out and put the setosa data in. and visually this looks good.